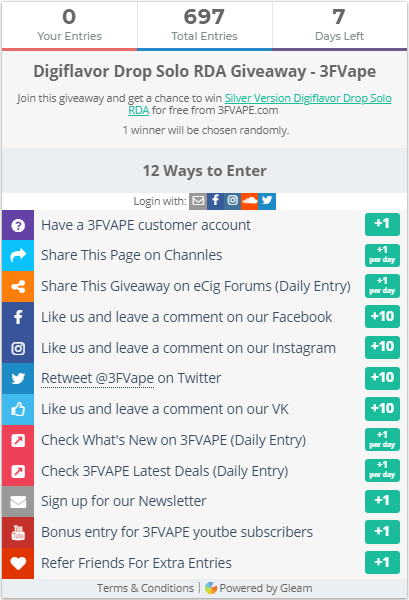 Want to win's a Digiflavor Drop Solo RDA for free? Enter the Digiflavor Drop Solo RDA Giveaway now >>> 1 winners will be chosen randomly. The authentic DROP Solo RDA is a collaboration by Digiflavor and TVC The Vapor Chronicles. It is the single coil 22mm version of the original 24mm DROP RDA, which has been widely recommended as the best RDA in the industry. 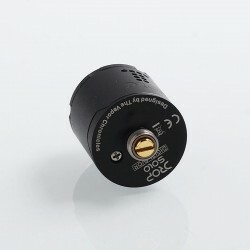 If you can not wait for have this item, you can also order the Digiflavor Drop Solo RDA directly on 3FVAPE. 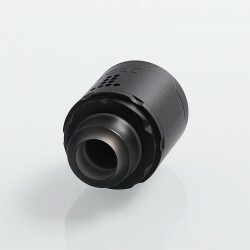 The Digiflavor Drop Solo RDA Giveaway is still underway. 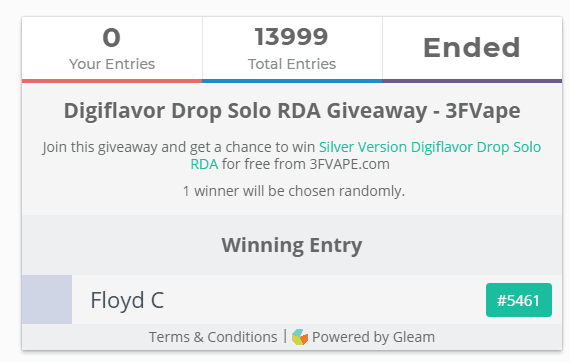 After 7 days of giveaway activities,the Digiflavor Drop Solo RDA Giveaway is finally comes to an end. It's a great honor to be here to publish the final result of the Digiflavor Drop Solo RDA giveaway.